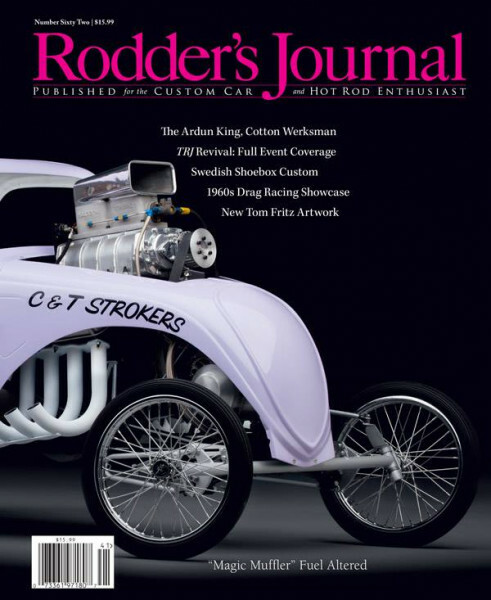 Produktinformationen "Rodder´s Journal Issue #62"
With the very best in hot rod and custom photography, writing, and history, The Rodder’s Journal is unmatched amongst automotive publications. In each issue you will find a carefully crafted blend of traditional hot rods, classic customs, early drag racing, the best newly built cars, and the rich personalities behind one of the world’s most unique and passionate pursuits. Weiterführende Links zu "Rodder´s Journal Issue #62"
Kundenbewertungen für "Rodder´s Journal Issue #62"